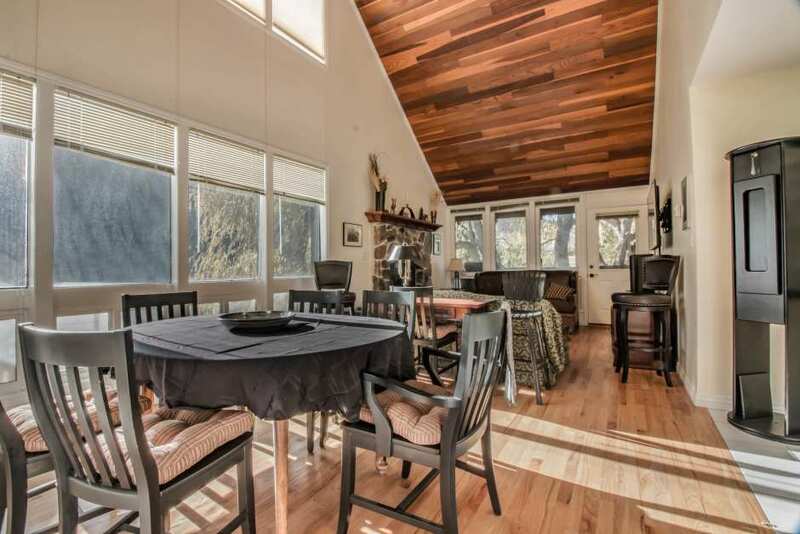 Ideally situated in the heart of downtown Park City, but with a quiet, residential feeling, this incredible multi-level Payday ski retreat has all of the creature comforts desired for your next trip to Park City! Graceful old trees and golf course views adorn the decks of this Payday townhome in summer, and its location for skiers couldn’t be better: both on the shuttle route to get to the main Park City base and lively downtown, and just across the street from the elevator that takes you to the Silver Star Lift – a much quieter entrance to the slopes! With vaulted ceilings and soaring windows with abundant light, the entry and living space offer plenty of space for relaxation and entertaining. An open kitchen floor plan allows casual or formal serving of meals into the family room and dining area . A main level full bath for convenience along with main level king bedroom and en suite bath is great for single level living. Additional bedrooms offered are the upstairs level king with en suite bath, a room with two twins and en suite bath, and a loft space with two additional twins. The townhome can sleep 8 comfortably. If you are looking for ideal proximity to Main Street, but desire a bit of privacy as well, this townhome is perfect for your next Park City trip, no matter the season!